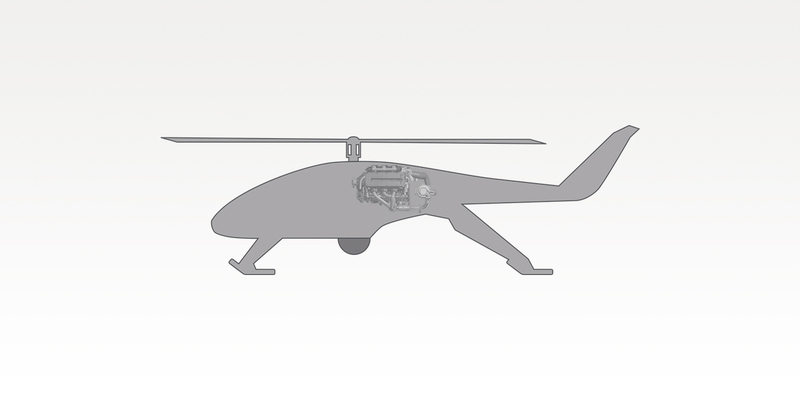 Our competitive advantage lies in considerable weight saving, robust and compact design (allowing installation into a wide range of airframes, ranging from utility to competition aircraft, including rotorwing applications), superior engine management, fuel efficiency and reduced maintenance costs. ADEPT’s innovative approach to design and engineering is unique in GA, but would not be considered unusual by anyone familiar with the high tech world of Motor racing, Moto GP or the Aerospace and Defence industries. In industries that require innovative thinking, rapid but reliable product development, robust testing and validation, and mission critical performance, there are common themes and practices that make the best stand out. 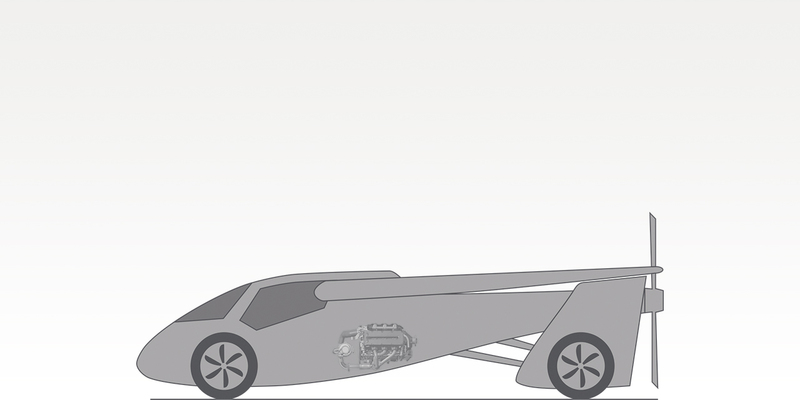 ADEPT’s use of the latest technology 3D CAD packages enables virtual design and prototyping to validate form, fit and function in a concurrent engineering environment, and the use of engine design and simulation software all mean that the design stage is stable, cost effective and rapid. 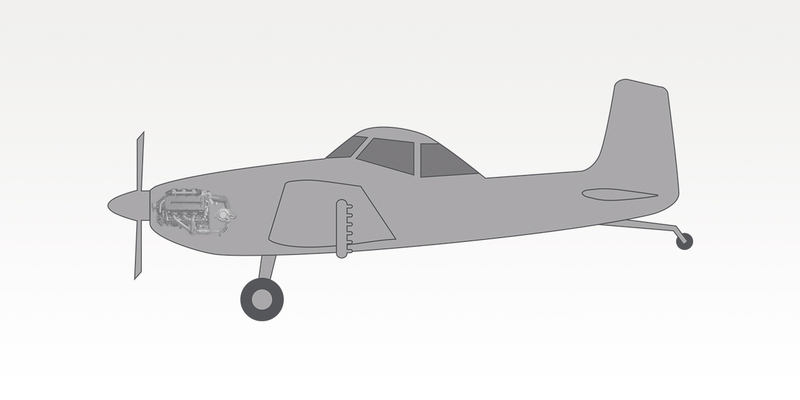 In addition, all design work is done in accordance with the certification requirements of an aviation regulatory approved Design Organisation. The use of Rapid Prototyping and Additive Manufacturing has also led to shortened lead times in getting prototype engines built and tested, and advanced Finite Element Analysis, Computational Fluid Dynamics, Non Destructive Testing processes, and Casting Simulation programmes all play their part in ADEPT’s manufacturing and development programme. 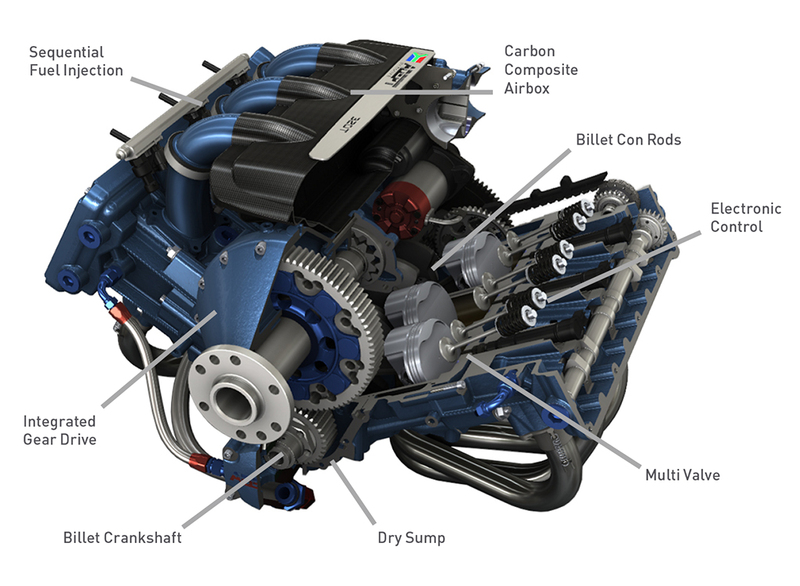 The ADEPT engine range features a novel and unique (in GA) engine architecture. 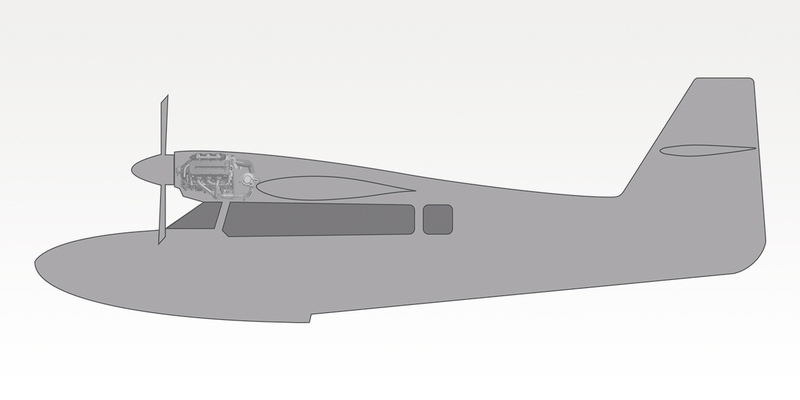 The 120deg V6 engine layout gives the best solution to the requirements for a lightweight, compact engine with extremely high mechanical strength and integrity, as well as excellent balance, uniform cooling, and the optimum integration of the engine/Propeller Speed Reduction Unit. 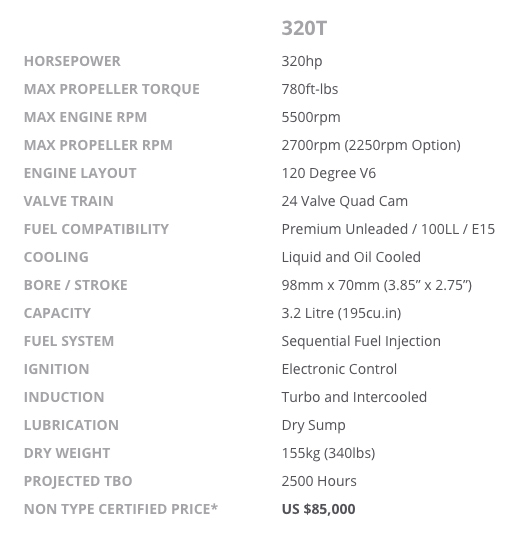 Fully sequential fuel injection, a unique lubrication system, anti-backlash and cush-drive mechanisms in the PSRU all contribute to the smoothest running piston engine in GA.
*Indicative list prices quoted are as at January 2017 and subject to periodic adjustment in line with USA Inflation rates (CPI) at ADEPT’s sole discretion. What is the cubic capacity of the engine? Just less than 3.2 litres (195 Cubic Inches). What is the bore/stroke ratio? The engine has a fairly oversquare bore/stroke ratio (98mm x 70mm) in order to keep piston speed low, as well as fairly short con rods. The short rods give higher piston acceleration which helps in good cylinder filling early on the intake stroke. 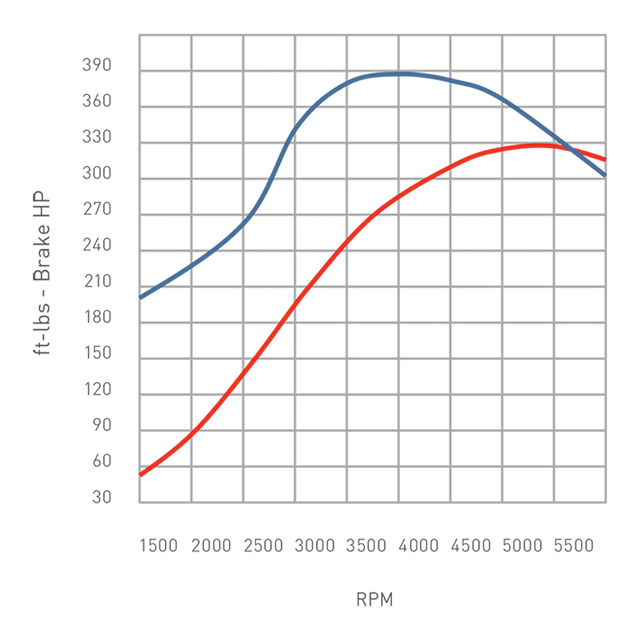 Narrow and light piston/ring components tolerate high acceleration well. 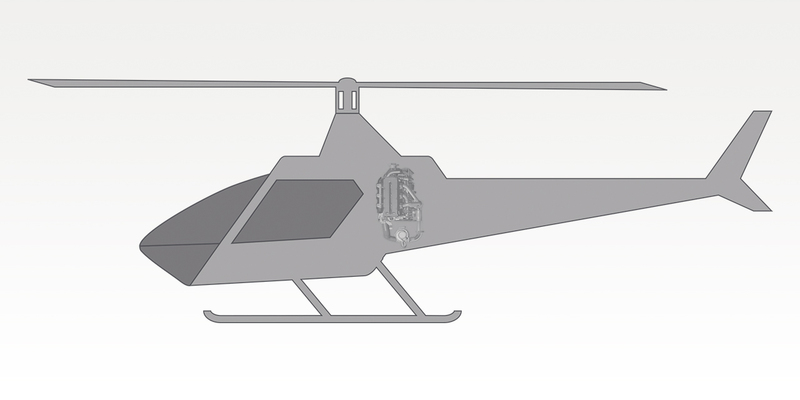 Is the engine suitable for operation in non-certified helicopter applications? 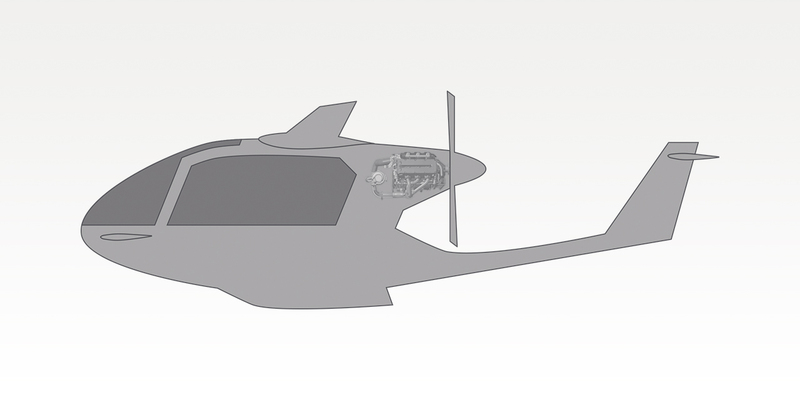 Whilst the company is focussing initially on fixed wing applications only, the engine is ideal for helicopter operation, as it can optionally be adapted to be mounted in any orientation, and can be optimised to provide high power and torque at constant speed as required in rotary wing applications. 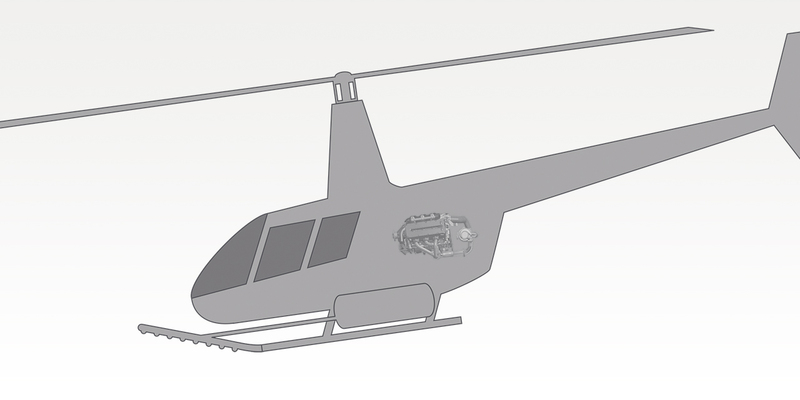 The PSRU also is ideally suited to installation in legacy helicopters which use belt drives to the rotors. Why is the ADEPT Airmotive not a compression ignition (diesel) engine? Although diesel has certain advantages with regards to fuel consumption and economy, we don’t believe that compression ignition technology is best suited to GA applications. 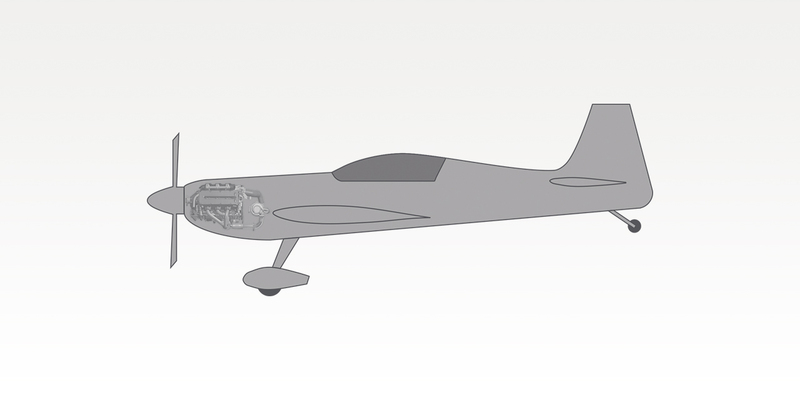 What aircraft will be using the ADEPT engines? 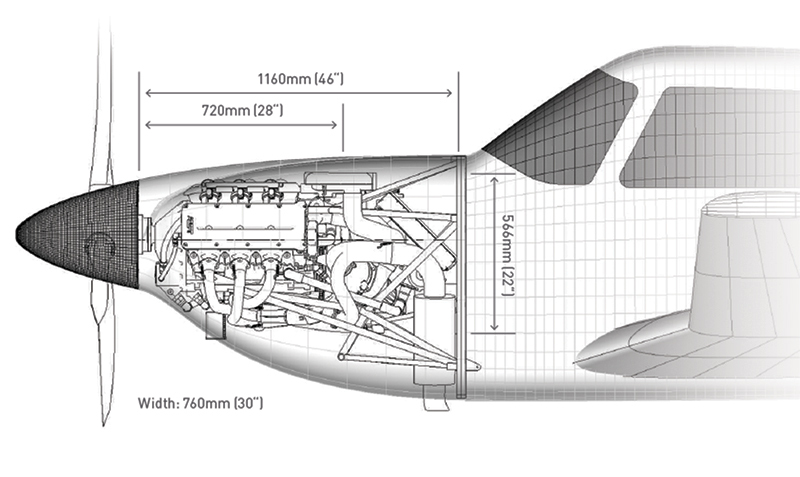 The 320HP engine is currently fitted to the all composite SA Ravin 500 (a South African designed and manufactured aircraft similar to the Piper Comanche). 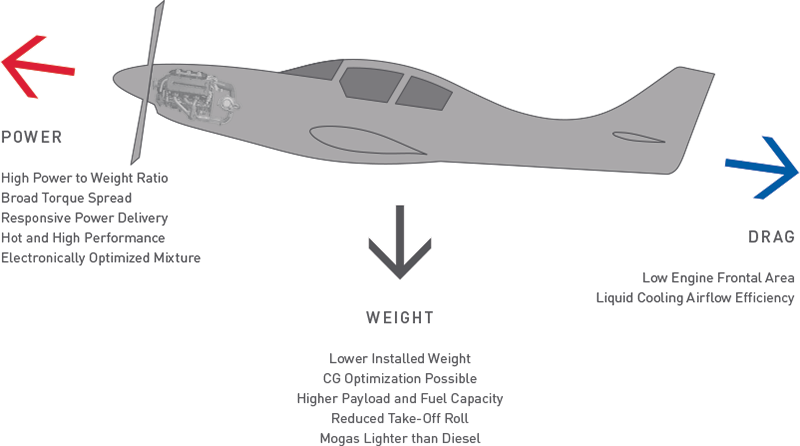 The combination of the ADEPT engine and the Ravin airframe results in one of the finest GA aircraft in the world, with an operating radius of over 1900NM (3500Km) and a 12 hour endurance capability. 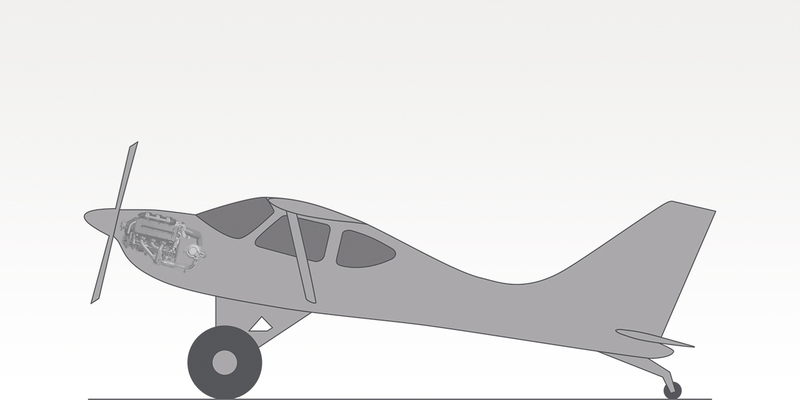 ADEPT is working with a number of Non Type Certified airframe OEMs as well as a wide range of aircraft builders and owners flying aircraft ranging from Super Cubs, Lancairs, Velocitys and aircraft used in crop spraying and humanitarian operations. 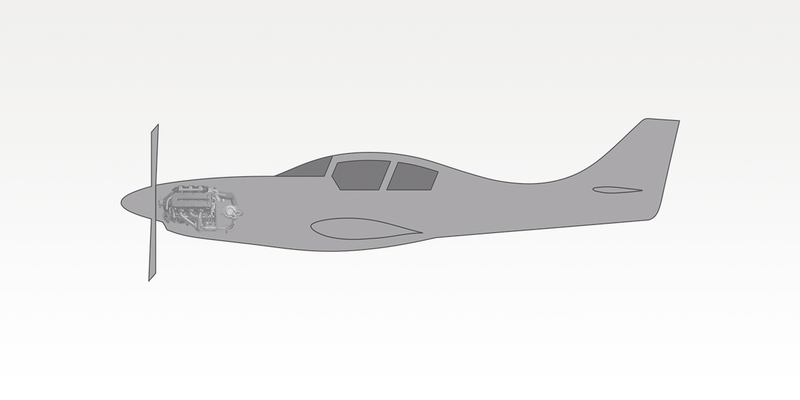 In addition the engine is ideal for legacy aircraft engine replacements once certification is obtained. What advantages does the ADEPT range of engines have over the traditional “Lycontasaurus” type engines? The ADEPT motor uses best practice current engine technology, and is therefore extremely economical and reliable. The ADEPT motor offers affordable acquisition and maintenance costs. What is the expected TBO of the ADEPT engine? TBO is being determined with our monitored flight programme. 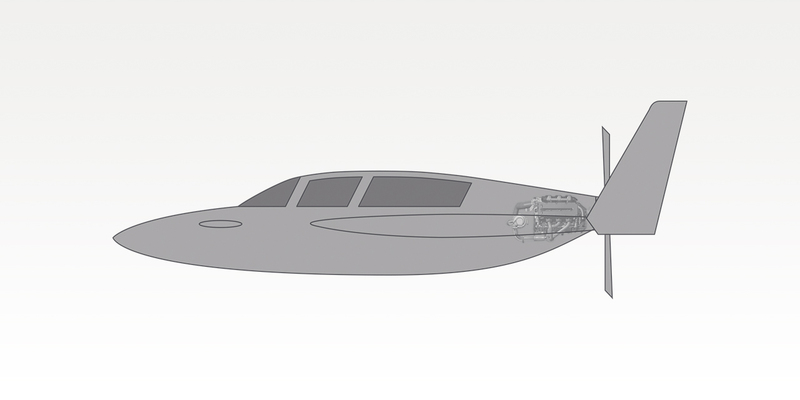 The engine has been designed with a targeted TBO in excess of 2000 hours. How does the adept engine achieve such low operating costs? 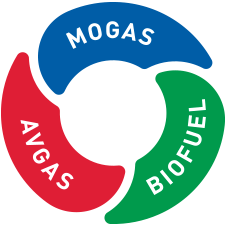 The ADEPT engine is extremely fuel efficient, and runs on Autogas/Mogas that is generally far less expensive than Avgas. ADEPT engines are also designed for ease of maintenance, and utilise readily available, modern service components, with far lower costs than traditional aviation service parts. Due to the modern design of the engine, service intervals are also extended in relation to traditional aviation engines. What is the advantage of a 120° V6 layout? It is a compact design offering high efficiencies, light weight, low vibration levels and high structural integrity leading to long engine life. Does the ADEPT motor rev higher than existing engines – and does this not lead to rapid engine wear? Current technology gasoline engines are most efficient at higher RPM than the RPM range at which the traditional type engines usually operate. The ADEPT engine’s average piston speed is in fact lower than that of conventional GA engines due to the optimum bore/stroke ratio used. The ADEPT engine uses a PSRU – are these units not a potential source of problems? The ADEPT PSRU is a robust and thoroughly engineered unit. It is an integral part of the engine structure. The PSRU reduction ratio has been selected to provide low noise, and complete absence of annoying and dangerous harmonics. Robust gear forms, and the use of a combination of extremely robust ball and roller bearings for radial shaft support, and taper roller bearings for both pusher and tractor thrust loads ensures reliability and durability. The unit also incorporates a cush-drive in order to protect the rest of the engine from prop strikes.